In what was an unprecedented and unimaginable move, the Government of India's decision to demonitise Rs 500 and Rs 1,000 notes had many ramifications. While there's a good and bad side to this entire chapter of India's economy, there's no ignoring the fact that cashless transactions became the order of the day. The day after the announcement of demonetisation, toll plazas across the country witnessed major traffic snarls as people did not have valid tender to pay the toll fee. To address the situation, the Road and Transport Ministry decided to suspend toll collection for a few weeks. In the meantime, they decided to introduce cashless toll collection. 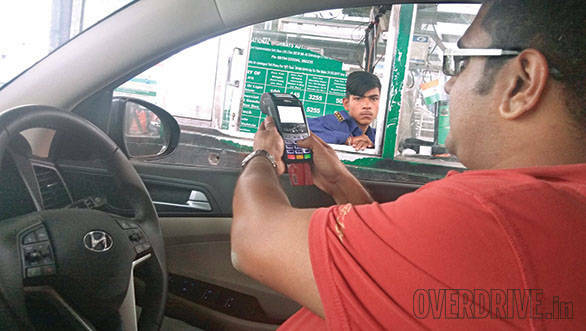 POS (Point of Sale) machines were introduced at all tolls across National Highways while a few also began accepting payments via mobile payment companies such as Paytm. This essentially meant that one could travel across the length and breadth of our country without having to pay cash at tollbooths. Sounds too good to be true? We thought so too and decided to find out for ourselves. 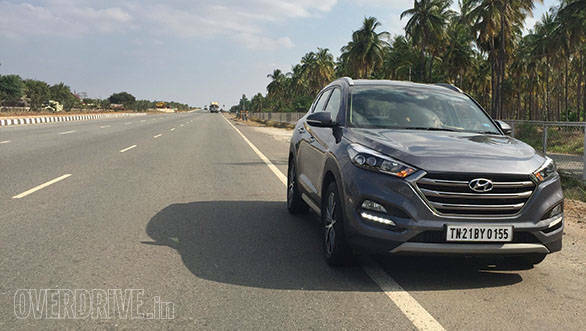 The route we chose was the fast and scenic Mumbai to Bangalore Highway (NH4). We chose this route for three reasons. Firstly, there are 16 tolls on the way to Bangalore. Secondly, we wanted to check the time it took to cross each toll. A fast highway is useless if losing time at tolls messes with your average speed. Lastly, we wanted to check if the roads were worthy of toll fee we paid. We were hoping that the government's claims of cashless travel were true; however, the reality was different. That's because while most of the journey was covered using a debit card to pay toll fees, there were a few places where we had no choice but to pay in cash. The primary concern of using POS machines is network stability. These machines depend on a stable cellular data signal to initiate and complete a transaction. Think of it as a call drop on your mobile phones, which is the result of poor network. That's what happens with POS machines in an area with weak network. Now, we are all too aware of the fact that Indian mobile networks still have a long way to go before signal loss becomes a thing of the past. 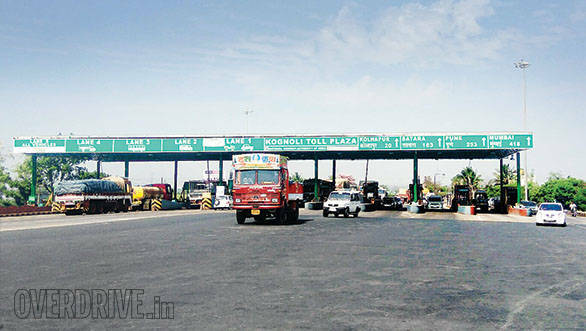 There was one such instance at the Kini Toll Plaza in Maharashtra. After the operator made two failed attempts to collect the fee using my debit card, he put his hands up saying that there's no network. 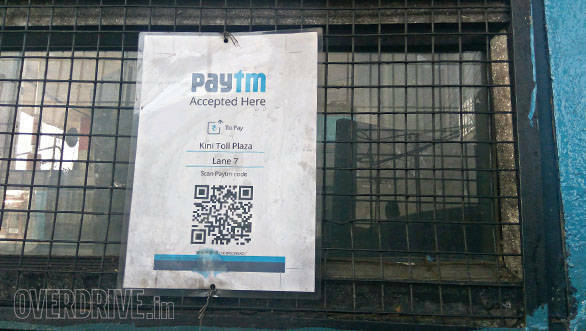 The next option was to pay using Paytm. Thankfully, the QR code was placed conveniently, right under the cashier's window. All I had to do was open the app in my phone and scan the code, and the payment was done. That said, the toll guys insisted on noting the transaction ID that we received as an SMS. The total time taken for the entire process was 4min and 45s. Naturally, there were many irate drivers stuck behind me, honking like crazy. This episode, however, was the only sour experience in an otherwise smooth experience at most tolls. On an average, using a card at a tollbooth took about 20-30 seconds which is acceptable since paying by cash usually took 10-15 seconds. 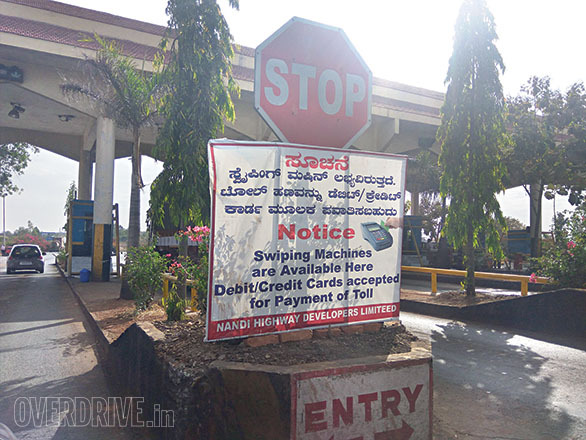 The only other place where we faced troubles with POS machines was at three consecutive tolls just before entering Bangalore. These tolls have fees in small denominations, ranging from Rs 20- 35. As soon as we presented a card, they'd request for cash, pointing at the queue behind us. After much cajoling, one of the cashiers said that the network was down and insisted on cash. the POS machines. This is mainly because the process of paying by cards is still new, and we believe this will change as people become aware about how to use these machines. While we did pay at every tollbooth, did we actually feel the roads were our money's worth? Not always. The roads from Pune to Kolhapur are pathetic. Bumpy, poorly designed and peppered with slow-moving tractors and trucks, driving on this section was stressful. There's also a lot of construction work that seems to be going on at a glacial pace. In complete contrast, the roads after Kolhapur are driving heaven. Smooth, wide and relatively traffic free, the roads in Karnataka are an example for others to follow. There is adequate signage along the way and the highway bypasses most villages which helps you keep a fast pace for long periods. We actually didn't mind paying the toll fee  it felt worth the money. As far as travelling with plastic is concerned, the basic infrastructure is in place and it's only a matter of time before people accept it as a means to pay toll fees, quite like online shopping.